As many of you may know, I am very much an advocate for wildcrafting and using herbs as both food and medicine. One of my favorite ways to incorporate wild greens into my diet is with pesto. Pesto is such a great sauce/spread. I use it on sandwiches, in pasta dishes, and even mix it with hummus or sour cream to make a tasty dip for vegetables and chips. Even better, pesto is so easy to make. All you absolutely need are greens and olive oil. You can leave out the cheese if you are vegan, or the nuts if you have an allergy. It's great! Just be very careful when harvesting your wild greens. A few good rules to remember is to harvest only 100 feet (or more) from roadways to avoid contamination from road run-off. Make sure to harvest only in areas that are not treated with herbicides and/or pesticides. Also be careful to not harvest from waste areas (many of these plants have a tendency to take in the harmful chemicals and minerals from these areas). Make sure that you thoroughly wash these plants before using them to avoid bacterial contamination, this is also important if you are harvesting plants that grow shorter than a dog's leg. I also follow the Native American harvesting tradition of only harvesting ¼ of the plants you encounter. You leave ¼ for the animals to eat, ¼ for the next wildcrafter/forager who comes along, and ¼ to grow and continue the population. And the most important rule of all, be 100% sure of what you are harvesting. If you are 99.99% sure, do not harvest. There are a great number of look-alikes that can be toxic, so please please be sure of your plant before consuming it. Combine herbs, garlic, and pine nuts in a food processor and pulse until roughly chopped. Add in 1/3 cup of the olive oil and process until smooth. Stir in remaining olive oil, cheese, and seasonings. Enjoy! *For more of a traditional pesto flavor, use 1 cup of basil and 1 cup of wild herbs. I also like to use tulsi (holy basil) occasionally for an added health boost. *Feel free to play with the amount of olive oil you use for different textures and flavor. Stinging Nettle Urtica dioica is notorious for it's sting. If you encounter it in it's raw form you'll know exactly why. However, once cooked or dried, nettles loose their sting and can be quite tasty, not to mention nutritious. Nutritionally, it's a great source of vitamins A, C, and D as well as iron, calcium, and magnesium. 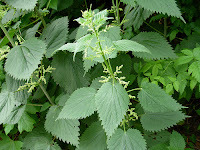 Medicinally, nettles are used to treat hay fever and similar allergies throughout the world. Because of the sting, this is one green you definitely want to blanch or dry before using in recipes. Spanish Needle Bidens Alba is one of the most under-appreciated plants in North America. It's also one of the most prolific. Everywhere you look, especially here in Central Florida, you can find it. 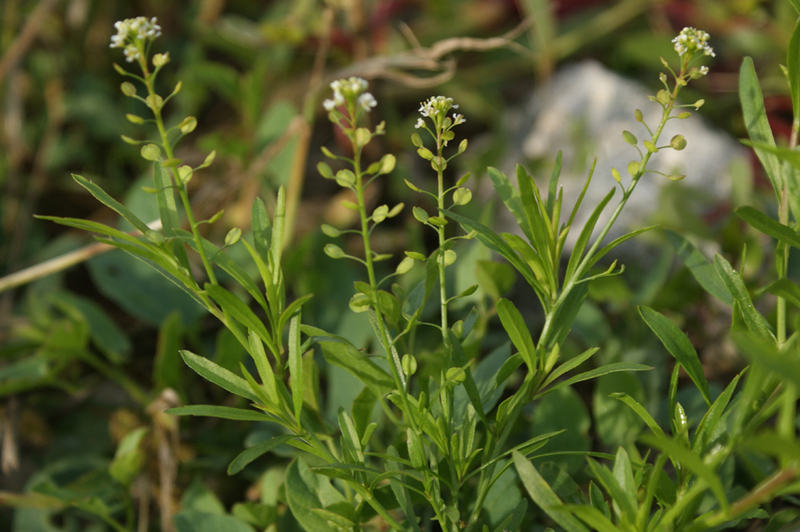 The young leaves and flowers are edible, but the whole plant is used medicinally. If you are using the leaves for pesto, you really want to blanch them first. Nutritionally, bidens leaves are very similar to spinach and packed with lots of vitamins and minerals. Medicinally, they are very useful for upper respiratory conditions. For more information on how bidens is used medicinally, you can find a previous post of mine here. 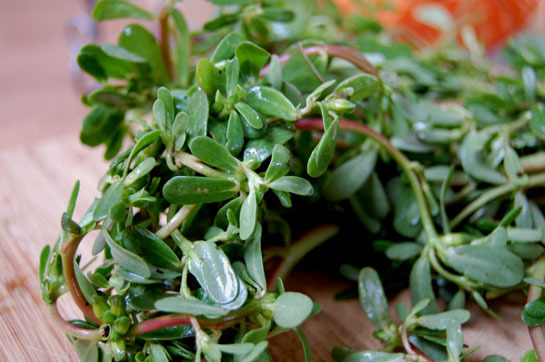 Purslane Portulaca oleracea is the most nutritionally jam packed green on earth. It contains more omega 3 fatty acids than any other plant known. It's also full of vitamins A, B, C, and E, beta carotene, magnesium, calcium, folate, lithium, iron, and protein. It's also a powerhouse of medicinal benefits. For more information on how purslane is used medicinally, you can find a previous post of mine here. You can use the leaves and stems for the pesto. Red Clover Trifolium pratense is in the legume (bean) family and the leaves have a slight bean flavor. The flowers are even more tasty and are supposedly the most tasty of any of the clover flowers (I haven't personally tried all of them yet, but so far it's winning for me). Nutritionally, red clover is full of nutrients including vitamins A, B, and C, zinc, calcium, magnesium, manganese, and potassium. 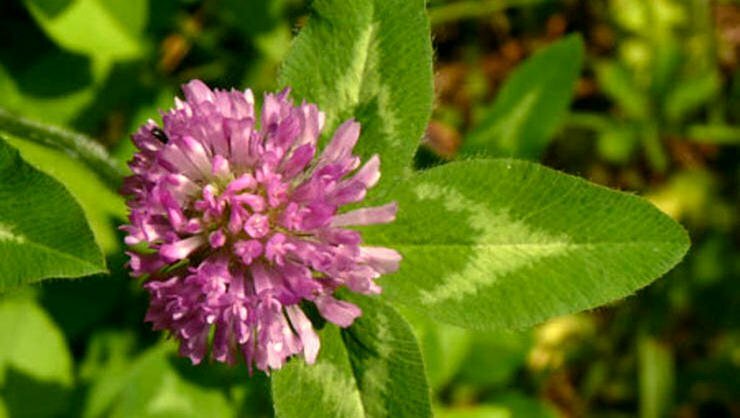 Medicinally, red clover is one of the best herbs for women as it helps to balance the female hormones. It's also a great aid in helping to prevent cancers of all types. Peppergrass Lepidium virginicum is quite peppery in taste, almost like a very mild horseradish. The seeds can be used to flavor foods like pepper, the root can be used similarly to horseradish, but the leaves are delicious raw. 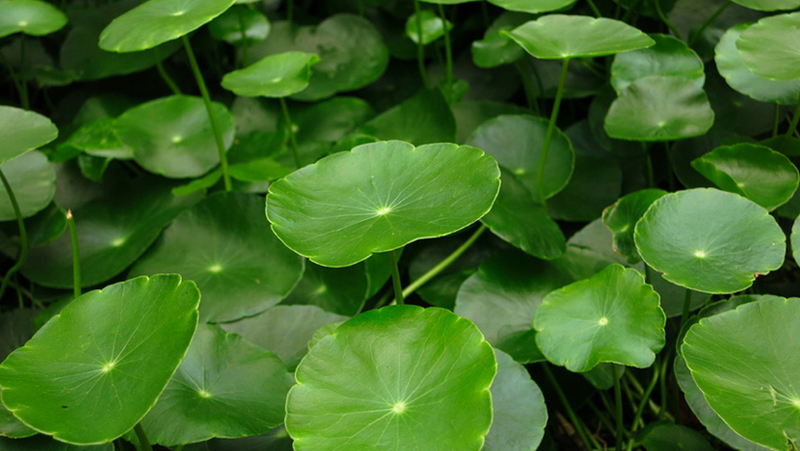 Nutritionally, the leaves are a good source of vitamins A and C. Medicinally, this plant is great for the kidneys and has been used, traditionally, to treat asthma. This is one of the few plants that actually have no known dangerous look-alikes. 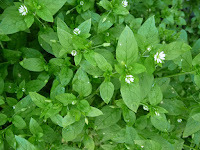 Chickweed Stellaria media is one of the earliest spring greens that show up in the eastern portion of the United States. Nutritionally, it's full of calcium, magnesium, potassiom, and quite a few other nutrients. Medicinally, this is one of the most amazing little herbs for your lymphatic system. You can use the leaves, flowers, and stems in this recipe. Dollarweed Hydrocotyle bonariensis (also known as pennywort) tastes like carrot tops, or a bit like celery. It's a common weed in Florida that drives most lawn-owners crazy. Not only does it like lawns, but it also really loves to get it's feet wet, which means that you'll find it at the edges of rivers, streams, and lakes. You can also find it marshy areas. You can eat it raw, but you can also pickle/ferment it to make a “kraut” similar to sauerkraut. Dollarweed is often confused for Gotu Kola, which is a close cousin and has similar medicinal and nutritional benefits. Nutritionally, dollarweed is a decent source of minerals as well as B vitamins. Medicinally they are great for lowering blood pressure. Use only the leaves for this recipe. Nasturtium Tropaeolum spp.may not be native to Florida, and may not be found in the wild, but my mother got me addicted to growing these tasty treats as a young girl. She used the excuse that for every flower I picked, two more would bloom, but I think it had more to do with the fact that we both loved to eat them in our salads. The whole plant is edible, and nasturtium flowers are one of the most recognizable, edible flowers on the market in America. The whole plant tastes peppery and you can use the flowers and leaves fairly interchangeably, but you can also pickle the seeds to add a little pop to your salads. There is only one warning associated with eating this plant, and it's a common one. 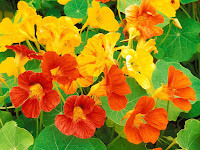 Nasturtiums contain oxalic acid which can cause health issues when consumed in abundance. For that to happen, you'd need to eat several pounds of the leaves in one sitting, but the warning is there none-the-less. 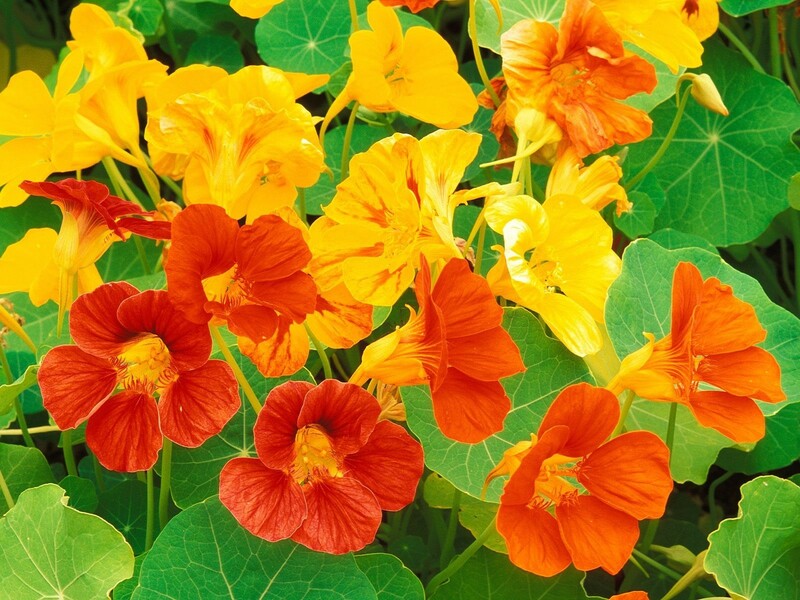 Nutritionally, nasturtium leaves and flowers are packed full of vitamin C and iron. Medicinally, nasturtium leaves are antibiotic, and this property is strongest just before the plant blooms. I use both the flowers and leaves for this recipe. 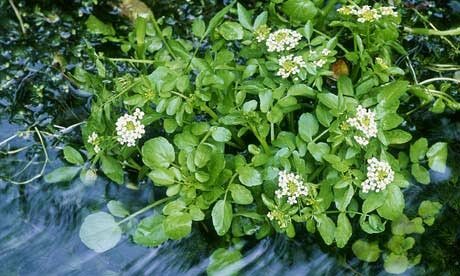 Watercress Nasturtium officinale has been eaten by humans for our entire history, and one of the oldest to be cultivated. You can still find it in quite a few grocery stores today. Nutritionally, it is loaded with vitamins A and C, and contains significant amounts of iron, calcium, and folic acid. Medicinally it is loaded down with benefits as well. The vikings considered it THE food to eat in the spring because it helped to flush the body of all the built up chemicals that come from existing solely on meat throughout the harsh winters. Just avoid this tasty green during pregnancy. Wood Sorrel Oxalis spp. can be found everywhere in the world, except at the North and South poles. There are around 850 different species and they are all edible. Oxalis leaves taste a little sour, reminiscent of a very, very mild rhubarb. You can eat every part of this plant, but I do need to caution you about over-eating it. 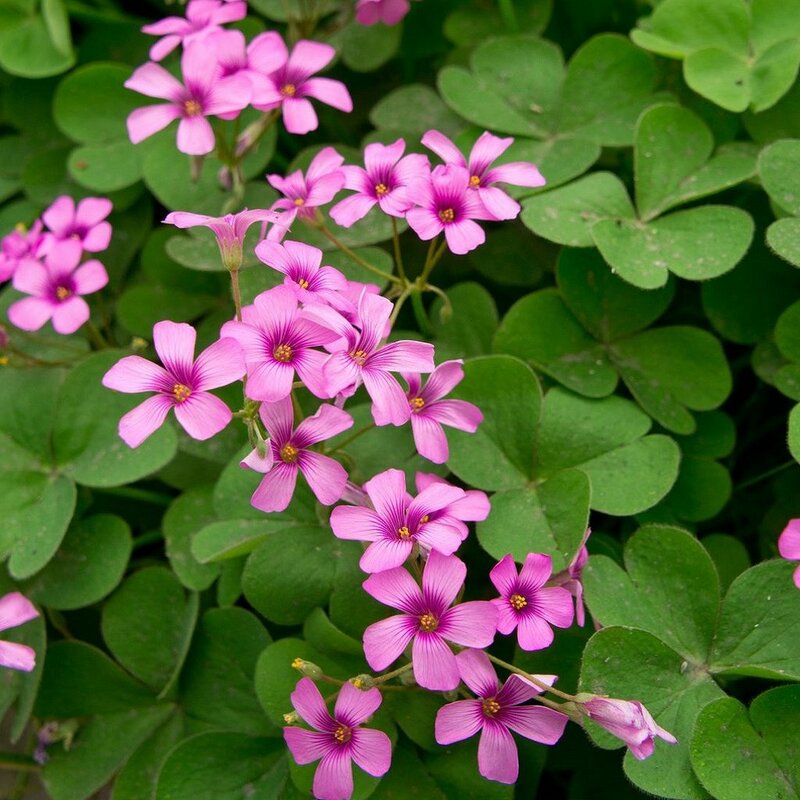 Oxalis contains oxalic acid which can cause health issues when consumed in abundance. For that to happen, you'd need to eat several pounds of the leaves in one sitting, but the warning is there none-the-less. Nutritionally, oxalis is high in vitamin C, iron, and zinc. Medicinally it's great for reducing fever, increasing appetite, and it happens to be a diuretic. For this recipe, I use the leaves, but the tubers are eaten all throughout Eastern Europe and South America. I hope you enjoy making this pesto and have fun gathering your herbs! If you have any questions or comments, please leave them below!